My husband and I are expecting a new little one in mid November. Naturally, when I found out I was pregnant one of the first things I thought of was that I just had to have a gender reveal party. I love the concept of getting together with dear friends and sharing your exciting news. 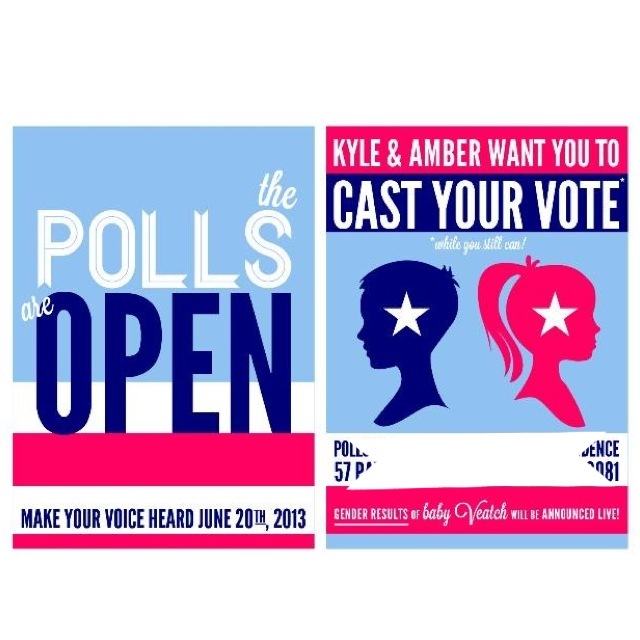 I wanted something a little different and finally decided on a gender reveal election theme. It was a fun way to incorporate voting for the gender our friends thought that we would be having. For the reveal I wanted something very visual and fun. 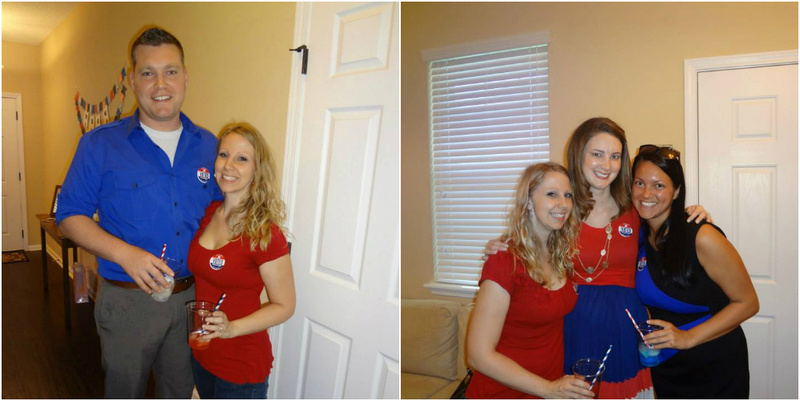 My friend Johnna helped me make red confetti for a girl and blue confetti for a boy. We decorated a wine box and Johnna was given the honor of stuffing it with the proper confetti color. We had our sonogram earlier in the day and we had the sonogram technician write down the gender on a piece of paper to give to Johnna. I had to wait a whole 4 hours to find out and it was very difficult for me, ha! I made several red, white and blue treats and displayed them on the farmhouse table my husband made. Above the treats table I decorated with a fringe garland that was so perfect made by Sparkle Motion Decor. The invitations and all of the graphic design was made by Invitation to Mars and the paper bags we put popcorn in were purchased from Worthy Party. All of these talented ladies can be found on Etsy and they are amazing to work with. I made the bunting above the voting station and the ballot box.